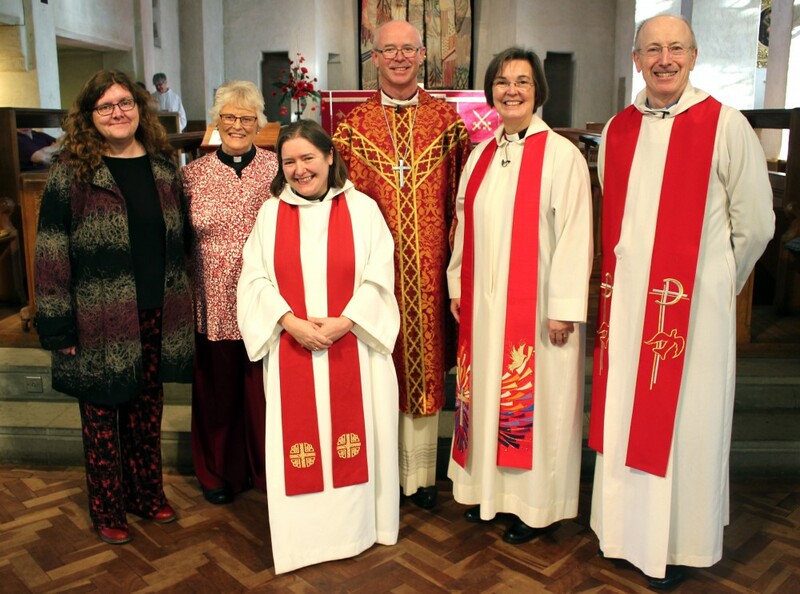 On Sunday 19 November during the Parish Eucharist Rev Sophie Sutherland was welcomed and commissioned by Bishop James as an Anna Chaplain, based at Bromley Parish Church. The parish was also celebrating the 60th anniversary of the rebuilding of the church following its destruction in the war. Julia Burton-Jones, Dementia Specialist Project Officer, said “ Sophie’s role is slightly different from other our Anna Chaplains; her role is a paid one (15 hours a week) whereas others are volunteers, and she is working with all older people, not focusing specifically on the needs of those with dementia”.